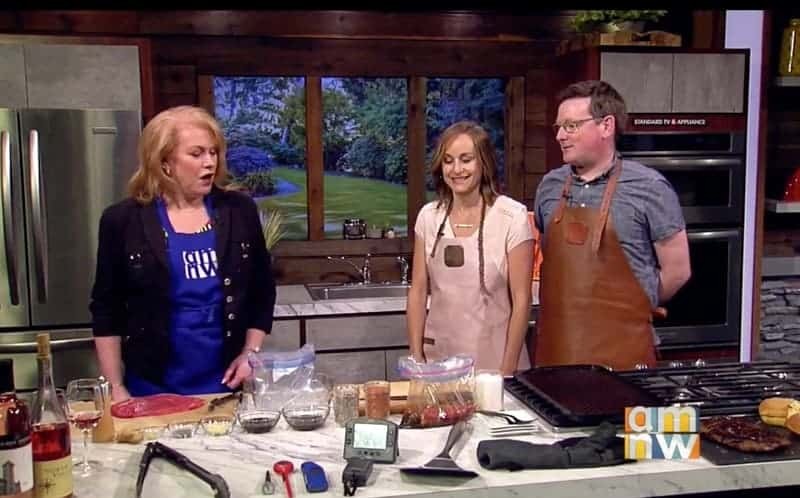 We went back on AM Northwest this week to talk about our favorite tools for grilling and cooked up a simple recipe for a marinated flank steak. You don’t need a million gadgets to get started grilling. We we’re so stoked to go back on AM Northwest to talk about the most wonderful time of the year. Yeah you thought that song was meant for Christmas? Well it’s not. The most wonderful time of the year is summer, and many people consider Memorial Day weekend the kick off to “grilling season.” Well you know us, we grill and barbecue year-round. Nothing is going to keep us from being outside. BUT I will say, I choose 80 degrees and sunshine over rain, gloom, snow, sleet, any friggin’ day of the year! They asked us to select our top three can’t-live-without grilling tools. Well, we cheated and added a bonus item (you’ll see). So for all of you about to dust off your grills in preparation for summer grilling and think you need tons of tools, don’t fret. If we were left on a desert island with less than a handful of items, it would be these. They don’t need to be fancy, but we do recommend a long set of tongs so they have good reach. You don’t want to burn yourself by reaching into a hot grill with a small set. This is what we use and it works great for flipping burgers, steaks, vegetables, you name it. Find them here. 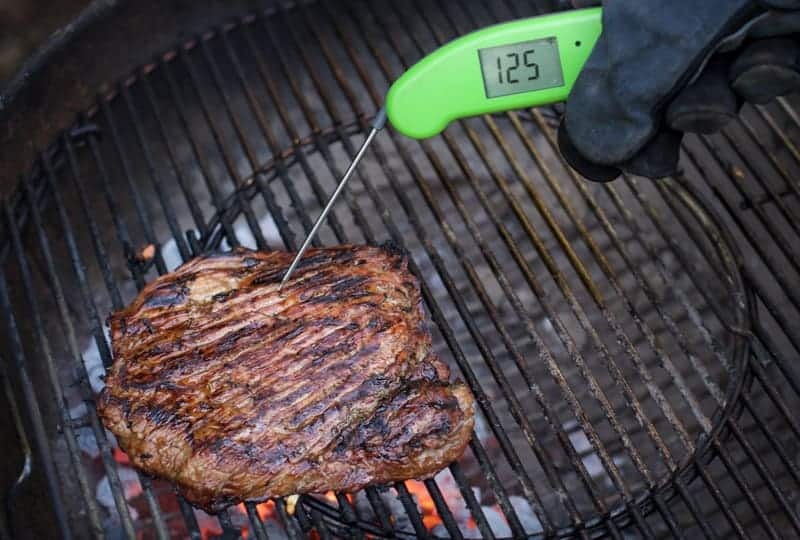 We’ve said it once, and we’ll say it again, if there was really only one tool you need for successful outdoor cooking it’s a digital thermometer. A long time ago I used to be afraid of undercooking meat, especially poultry, but since I’ve become comfortable using a digital thermometer my meat comes out to my ideal temperature every time! And remember, when cooking outside, whether smoking or grilling, the rule is to cook to temperature not time. 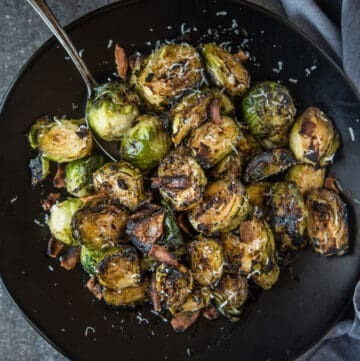 In an oven, set to a perfect temperature, you can trust a recipe that says “cook chicken 20 minutes,” but outdoors there are so many factors that can influence the internal temperature of the grill and also the meat. If you want your meat cooked right it’s always best to use a thermometer and insert into the thickest part of the meat and generally cook to the minimum food safety threshold. And guess what? We’re giving away our favorite thermometer today! 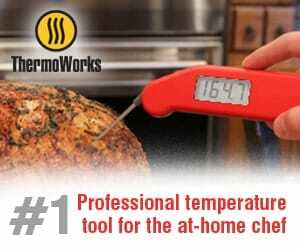 To one lucky reader we’re going to give away a ThermoWorks Thermapen MK4 Thermometer. This is our most used thermometer and one we highly recommend. 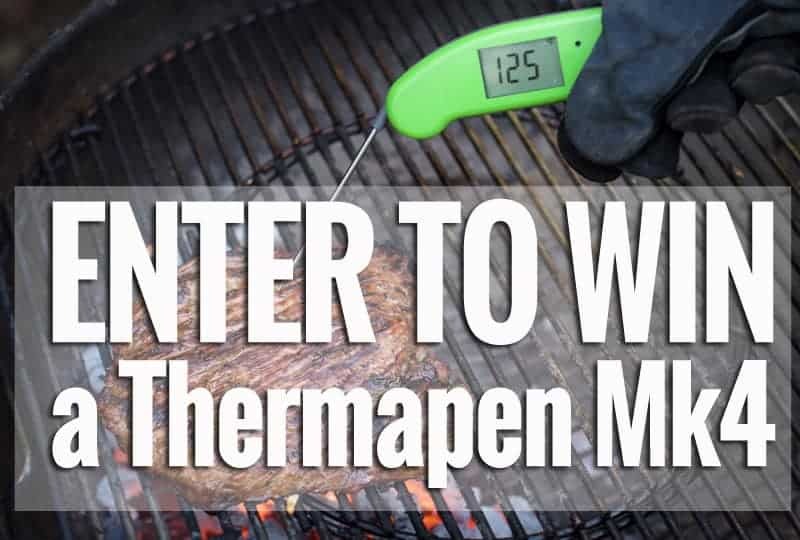 Read at the end how you can win this exact Thermapen. While not completely necessary, these are such a gem to have outside. We use two different types of gloves. This pair (the orange pair pictured above) is good if you’re handling hot meat, like if you’re pulling pork or cutting up chicken. They’re dishwasher safe, so easy to keep clean! Find them here. This pair (the grey leather pair pictured above) is good if you’re handling hot items, like a hot grill, putting logs into a hot fire, or transporting hot platters. Find them here. While this may be more of a convenience tool it’s certainly one that comes in handy. Like the tongs, it’s long with a good reach. It has a wide surface, so it’s good for fish, but also works well for meat, veggies, you name it. We have this exact one. Finally, for me, it’s important to stay hydrated outside. Hence rosé! In addition to grilling season it’s officially rosé season! Pink wine is flowing, and it’s one of my favorite things to drink while slowly smoking meat or grilling on a hot summer day. Speaking of rosé we’ve got our rosé roundup coming up soon. Stay tuned. 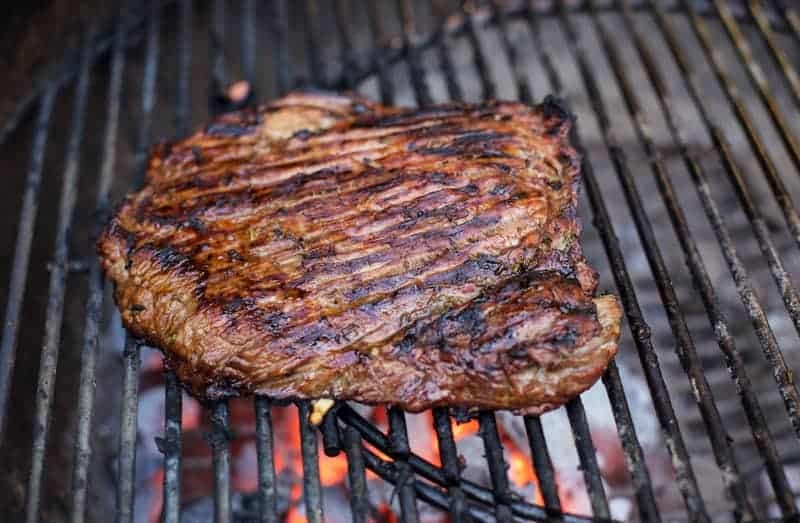 In addition to talking about our favorite essentials for grilling, we cooked up this recipe for Rosemary Soy Marinated Grilled Flank Steak. 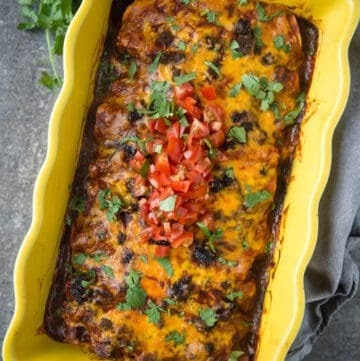 This recipe has been a staple in our house for over 7 years. Simple, quick, and delicious. 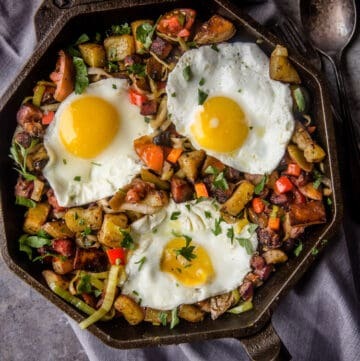 And you probably already have everything for the recipe in your house! If this video doesn’t display on your browser you can CLICK HERE to view it directly on the AM Northwest website. And thank you so very much to the amazing crew at AM Northwest for inviting us back again and again! We are truly honored to cook for you! If you’re new to the site, welcome! You can find out a little more about us from the first time we were on AM Northwest, here. Enter to win: I have partnered up with ThermoWorks to give away one Thermapen Mk4 Thermometer to one lucky reader. To win simply leave a comment on this post with your top grilling tools. If you could pick only 1-3 tools, no more than three, what would they be! That’s it. The winner will be chosen at random next Friday, May 26, and notified by email. *This post contains affiliate links. We only recommend products we use and love! And all of the products mentioned above are those we use regularly. If you want to hang around and learn more I’d love it if you subscribe to Vindulge and have new posts delivered directly to your inbox once a week. I promise we won’t spam you with too much (I have twin boys and writing jobs outside of this blog that consume much of my time!). 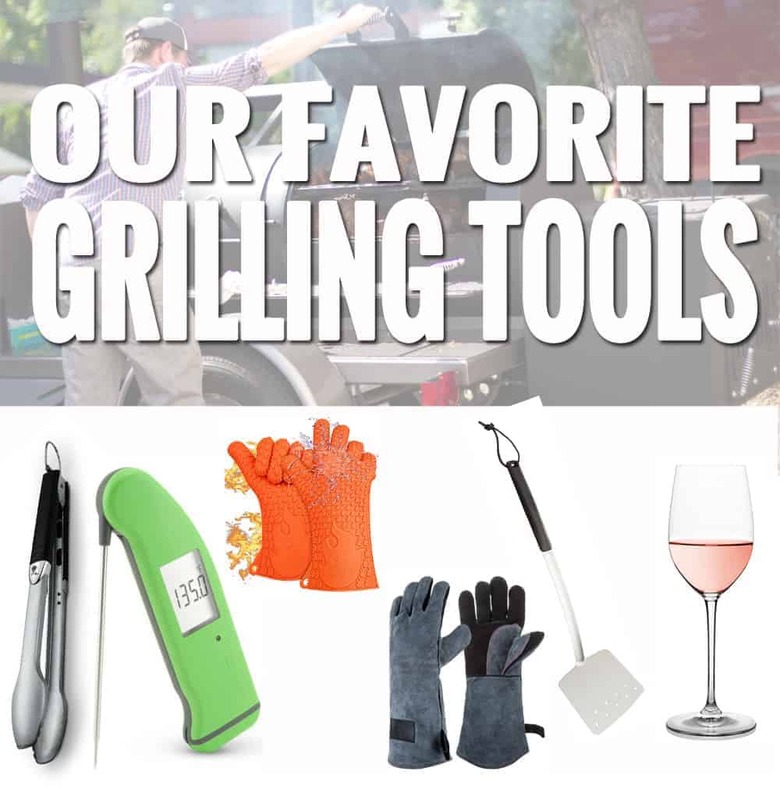 My top two grilling essentials would definitely be the tongs and the rosé. Although I think a thermometer is essential too – I just don’t have one yet! This is such a helpful post – thank you! A bottle of rosé is a mandatory tool in my grilling experience as well 😉 What a great giveaway! Yes! Rosé all day and good music! But for actual grilling tools, my must haves include: folded paper towels with olive oil, tongs, and a good grate scrubber. 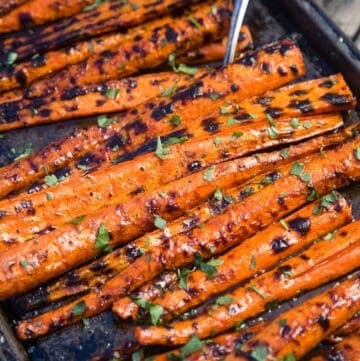 Good Tongs are key to manipulating everything on the grill! Awesomeness at your return to TV! I would have to say my top would be vegetable basket tongs and thermometer for the meat! Thermapen is number one followed closely by an Old Vine Zin and then a Big Green Egg. Versatile to the max. We like sturdy tongs and because our grill is portable, we have a grill rack for meats and another for veggies. 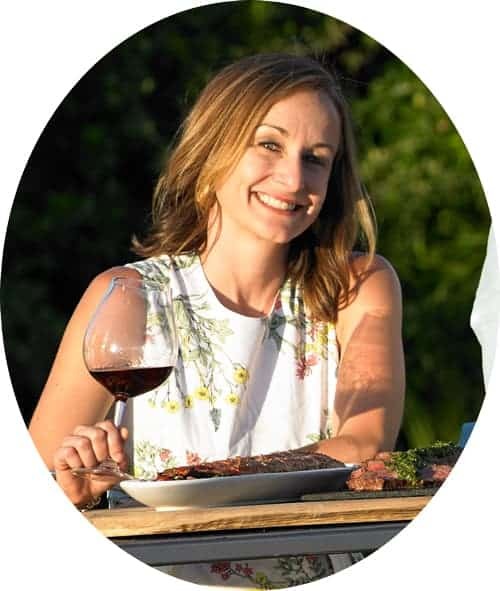 And BBQing is just not complete without a glass of wine in hand! And while we don’t have a meat thermometer, we probably should, huh? They are pretty awesome! Your meat comes out perfect every time. No guessing. So exciting!! Great segment! We definitely need to start grilling this summer! 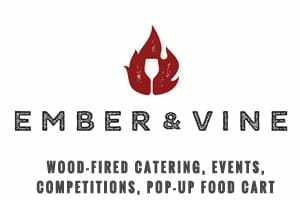 I am a avid griller and would love to win this. My top two grilling implements are my long tings and a long metal and wood handled fish spatula I don’t use planks or other items on top of the grill so fish spatulas are my go to to prevent sacrificing salmon and other fish to the fire gods!! My favorite grilling tool is my own body. I like to see and feel the food as I’m grilling. I’ve grown to know how firm a steak should be and how it should look as I’m grilling it. In terms of tools other than my eyes and fingers , I like a nice long pair of tongs. 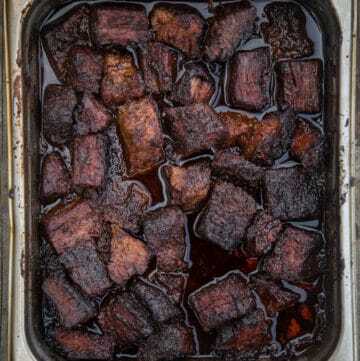 If they’re too loose or dpn’t allow me to apply enough pressure I can’t control the food and it slips or drops – many times it’s lost to the ground or the fire! They also need to be long enough that I don’t burn myself with a flare up. Must have tools include tongs, digital thermometer, and a grill basket for small or delicate items. My must haves are good tongs, spatula, and hopefully a great thermometer!